Every once in a while I read a book that really changes me—deeply, drastically, truly. I’ve never been the same since I read Les Miserables the first time, for example, and when I read The Making of America by W. Cleon Skousen my whole life shifted. The same happened when I read A World Split Apart by Alexsandr Solzhenitsyn, and The Law by Bastiat. Of course, scripture is the best read because it has changes for you no matter how many times you re-read it. Some books just change your life. Today I read another life-changing book. In fact, I read it through the evening and couldn’t put it down so I read through the night. I usually read fast, but in this case I took so many notes that I didn’t finish until after 3 a.m. 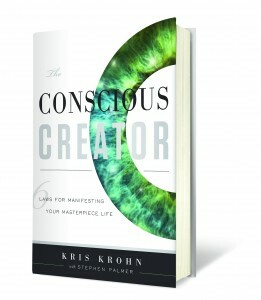 The book is The Conscious Creator by Kris Krohn with Stephen Palmer. This book is brilliant, and I don’t use that word lightly. This book is a revolution, because it really gets to the heart of what the whole modern “Manifesting Your Dreams” movement is all about. Manifesting works for some people, but not for others, and Krohn and Palmer show why. When the book The Secret came out a few years ago, it was an international phenomenon. Millions of people were touched by it, and moved by its promise of what great things can happen to one’s life when we apply “The Law of Manifestation.” Within a year, many people around the world were using its concepts in their daily lives. But over time, a lot of them felt disappointed by the results. 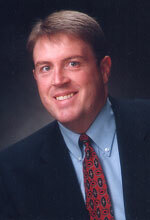 Many critics lamented that the reality just didn’t live up to the hype, that the promises of the book just weren’t as realistic as described. Perhaps the problem was that many people didn’t quite understand what was really needed. “Manifesting” can mean different things to different people, after all. This problem is remedied by The Conscious Creator. It outlines six laws of manifesting, not just one. The first law, which is basically the same as that listed in The Secret and so many other books on manifesting what you really want in life, doesn’t work if you don’t apply the other five laws! Just the chapter on Law 4 alone is worth much more than the price of the book. Anyone who wants to really understand the laws of success should read this book. After I finished reading it, even though it was late, I pulled out my copy of The Secret and perused my notes. In fact, many of the six laws are there, I just didn’t quite catch them before. But with the six laws fresh in my mind from reading The Conscious Creator, suddenly The Secret was a whole new book. I read every new book I can get my hands on about the topics that really interest me, and manifesting is a fascinating field—whether you buy into it or not. Having read dozens of books on the subject, I am impressed by how effectively The Conscious Creator teaches the principles of success. In my opinion, it is the best book in the entire manifesting genre, right up there with The Jackrabbit Factor. It is written as a story, like The One Minute Manager or The Richest Man in Babylon, and the story is engaging and fun. This is a great book, and I couldn’t sleep until I wrote this recommendation to everyone. In short, this is truly a great book! Read it! It won’t disappoint. It’s a modern classic.